Prominent forensic psychiatrist Steven Pitt, who was slain last week outside his Scottsdale, Ariz. office, grew up in Southfield and attended medical school at Michigan State University. The suspect in the killing of Pitt, 59, and five others in the Phoenix area killed himself Monday inside the Extended Stay hotel in Scottsdale as officers were closing in on his hotel room, the Arizona Republic reports. Dwight Lamon Jones, 56, was reportedly on a murder spree to “right some wrongs” stemming from his divorce and custody battle in 2009. Pitt worked on high-profile cases including the JonBenet Ramsey’s murder in 1996 and the 1999 mass shooting at Columbine High School in Colorado. He graduated from Southfield-Lathrup High School and from Michigan State University’s College of Osteopathic Medicine, according to his website. He completed his psychiatry residency training at the University of Michigan’s Medical Center. In addition to maintaining an active psychiatric practice, Dr. Pitt serves as a Clinical Associate Professor of Psychiatry at the University of Arizona College of Medicine-Phoenix. 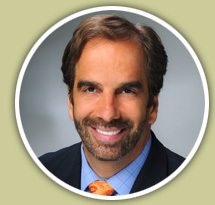 He has co-authored numerous journal articles and book chapters, and his expert opinions have appeared in a wide range of print and broadcast media, including CNN, Dateline NBC, FOX, ABC News/Primetime, NBC’s “Today” show, Good Morning America, truTV’s In Session, USA TODAY, The Los Angeles Times, The New York Times, Newsweek, FHM Magazine, The Boston Globe, The Washington Post, The Huffington Post, U.S. News and World Report, New York Daily News, The Daily Beast, National Public Radio, Entertainment Tonight, Cosmopolitan, COURT-TV, Discovery Channel and the A&E network.